Home » Association News » Blooming great tea party day! A big thank to all who came and supported ERF last Saturday at the Blooming Great Tea Party which was organised in aid of Marie Curie. 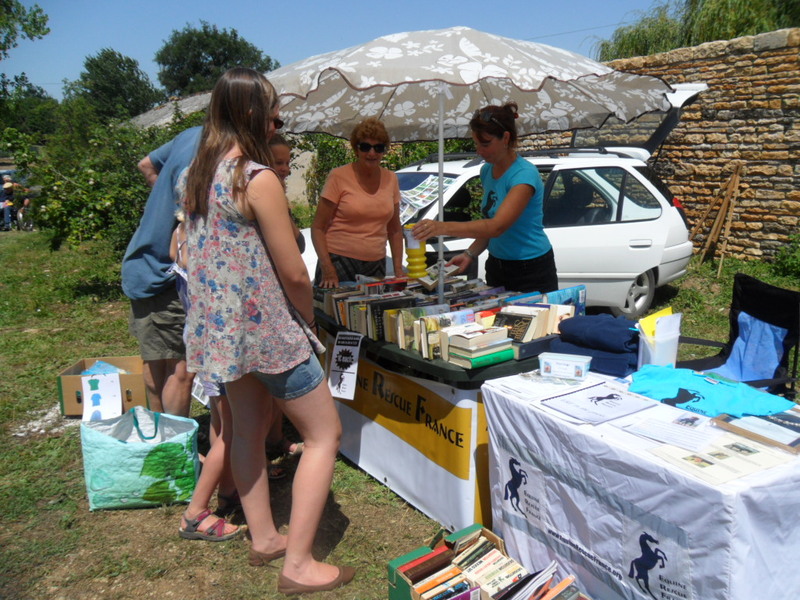 We were pleased to have raised approx 80€ on the day and once again the sale of good quality 2nd hand books went really well. If you have any books you have read and would like to pass on then please think of ERF as this gets us some much needed funds in. We are already starting to notice a rise in welfare cases as the drought continues. This will be a very worrying winter for equines that need hay as it simply isn’t available in many areas and we expect to be having a record number of undernourished equines reported to us needing help. Could you hold an event or do something to raise funds for ERF? Here are some ideas to get you inspired – fundraising tips. What a hot day it was too! Well done to Jules Hall for organising this enjoyable day which raised over 900€ for the Marie Curie Cancer Care.